Happy second day of March friends! And happy change of season for wherever you are, be it Autumn for us who dwell south of the equator, or Spring for those of you in the north. It seems we are all sensing the change no matter our location. I've seen photos of early bulbs pushing their heads through the soil, even though more snow is forecast, and I hear talk of tapping for maple season. For us, our nights and early mornings are growing much cooler and most days when I rise, it is now still dark. 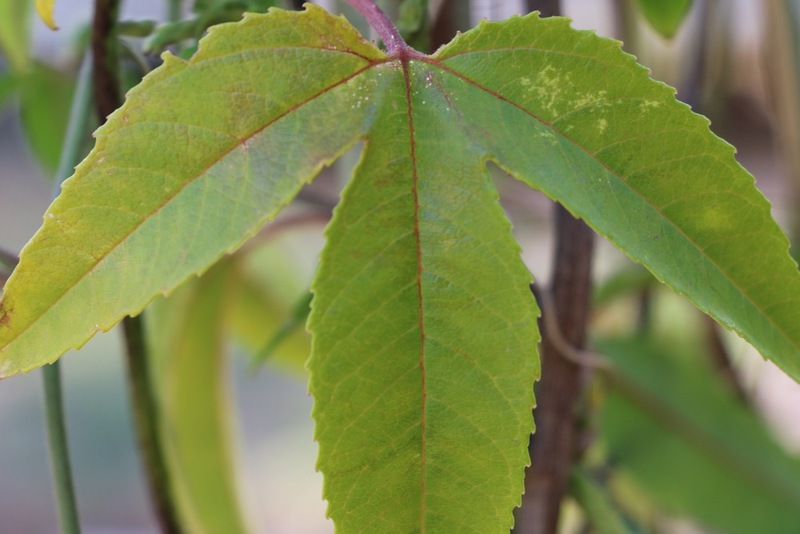 It's only slight in these photos, but around my garden many leaves are beginning to turn their hue. The browns and yellows, the reds, oranges and purples. Those colours we all love about Autumn are ever so slightly starting to appear and even though I would never like to wish these warm days away, I am longing for a slower pace and a few quiet evenings by the fire. So, I just checked the date on my last blog post and I can't believe it's been one whole month since I was last here! What the??? How did that happen? Where did those days and weeks go? It honestly feels like just one week has past since I was uploading those Alice Top photos. Anyway, where do I begin? I've been consumed by a host of delightful creative endeavours and have been busy settling us all into our new-school-year groove. It's week five of our first term for us now and I think I am only just finding my feet. Two kids at school! That youngest one of mine is finding the long loooong school days a struggle and just like with his big sister, I am all for keeping things flexible and pulling "family days" whenever I sense his need for rest. I'm back to helping out within the classroom - just a bit of time one day per week, but now there are two classrooms for me to contribute. For a lot of reasons I didn't help out last year and over that one year break I had forgotten thetime from my week that classroom help takes. It's worth it though. So, so very worth it. Everyone benefits, from the teacher getting a helping hand to the students getting a bit of extra attention where they most need it. Then there is the sheer joy on my kids faces at having their Mum hanging around during their school day. Hands down though, the absolute best bit of all is what I get out of it. I get to know their teacher better, I get to share a little piece of their day and experience their life at school and I get to know their classmates and learn those names so at home I can know who is who when we share stories about school. What could top that? Isn't that the best benefit of all? A revamp of my working space, complete with my vision board for this year (hmmm, January kind of disappeared on me before I really got to planning. The year can begin in February can't it? Or maybe even March?) I like to keep a little space on my annual boards so I can add to it throughout the year as I make new discoveries or as things evolve in new directions. And on a side note... gee I wish my desk was this clean and clear all the time! Rest assured, it seldom ever is. Discussions with Kara Rosenlund about getting her insanely talented self to South Australia later this year. 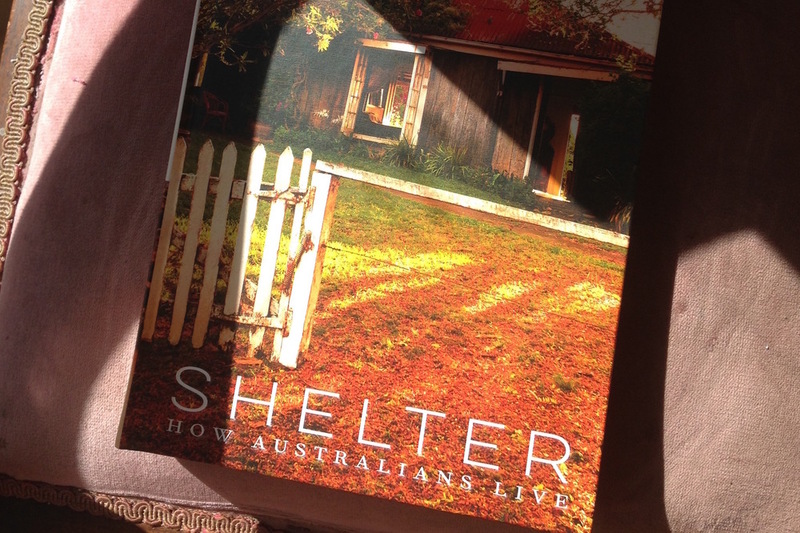 We're in planning for an event which celebrates her new book Shelter. There will be a menu, good conversation, maybe an exhibition of her photographic works and all hosted by the lovely Alia at Poet's Ode. I'm scouting for a second venue as well just so we can really soak up the goodness. 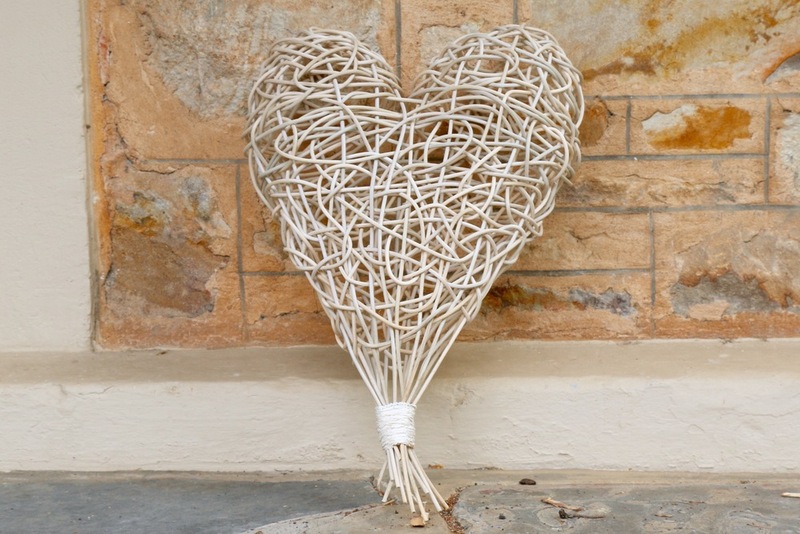 I finished weaving a rattan heart! Elizabeth from the U.S. based Squam Art Workshops, hosts an array of online classes as well as her retreats. This one was Gift of the Heart and was taught by fellow Aussie, Harriet Goodall. Harriet is the most beautiful sculptor and fibre artist and you can happily get lost for hours within her work. A parcel from across the sea arrived from this dear friend. 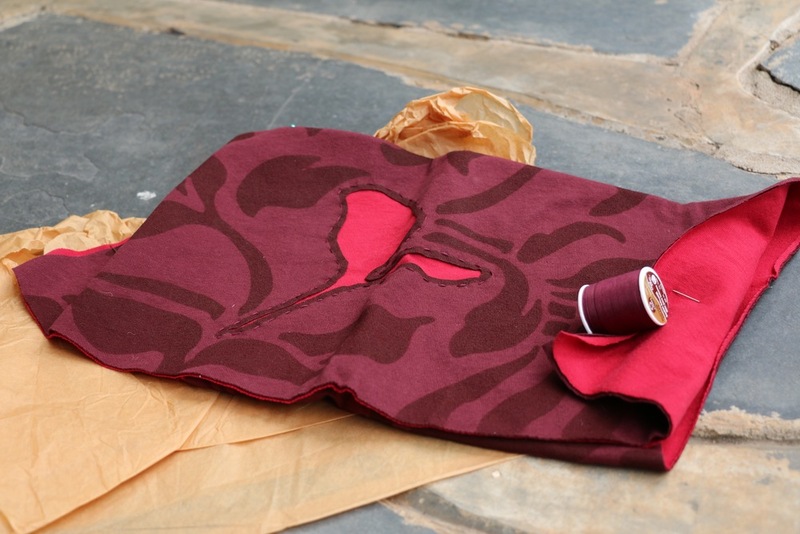 Inside were many spoils, but also included was my panel for the Alabama Chanin sew-a-long that Christine has organised. Somehow she managed to gather together many women from across the U.S. and me in Australia and connect us all with a modern day version of a 'quilting circle'. Much of this project is being kept a little hush hush for now, but one day soon I will scribe a full post with all the details. We bought a tent! If you've been visiting here a while, you may remember our old tent from our last camping trip. Well, I do still love that tent but it's soon to get sold. You see, it's a beast! And when I say it's a beast, I mean... it's a b.e.a.s.t! It was only with the help of our fellow campers that Tuck and I managed to get it erect for that last trip - that was a team of four or five, give or take a few onlookers chipping in. There is NO WAY I would manage it on my own and although I love camping with friends as a group, I don't want to be restricted to only ever camping that way. It will be fun for me and the kids to load Snowy up and just head off somewhere and with this new tent, we can! Plus, LOOK at it. Could you get a cuter tent?! It's called a SoulPad and it's closely modeled on a teepee structure. This first practise pitch in our back yard took me about an hour but that was with stopping to read the instructions step by step. After a few trips away I think I'll better that time with ease. The best bit is that I am very able to pitch it on my own and it will be even more fun with two little helpers who are quite handy these days. Finally, this Sunday I'll be heading to Poet's Ode for a day of absolutely glory. I will be participating in a workshop called The One-Day Dress under the guidance of India Flint. India is a "botanical alchemist and peripatetic seamstress" and there is much more I would like to say about her but I'll stop there for now. You can be sure I will be back next week with a full load of photos and words to share about what this one-day dress entails. Wishing you all a delightful first week of March!